Nike and LeBron James have created some of the most popular basketball shoes in recent decades. 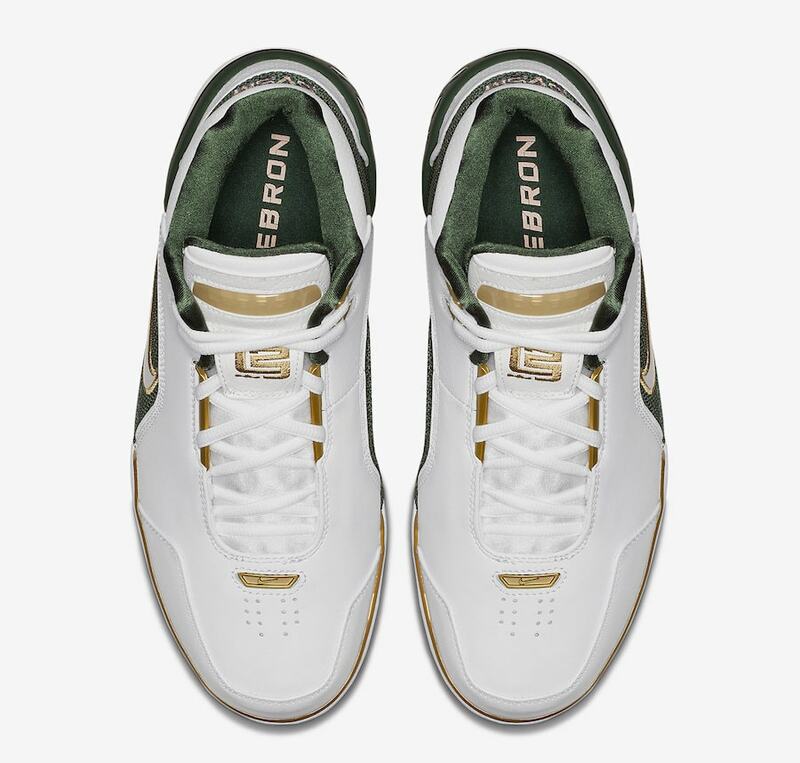 Despite being on their 15th model, the pair has begun a retro series starting with the Zoom Air Generation, coming soon in an OG SVSM color scheme. LeBron James is having a hell of a year on the basketball court. While things have gotten messy for his Cleveland Cavaliers in the past several months, Nike has been holding him down with some of the hottest footwear available. The latest heat check from the King himself comes in the form of his original shoe with Nike. First spotted on his feet months ago, rumors have been swirling about the possible release of the Nike Air Zoom Generation “SVSM”. 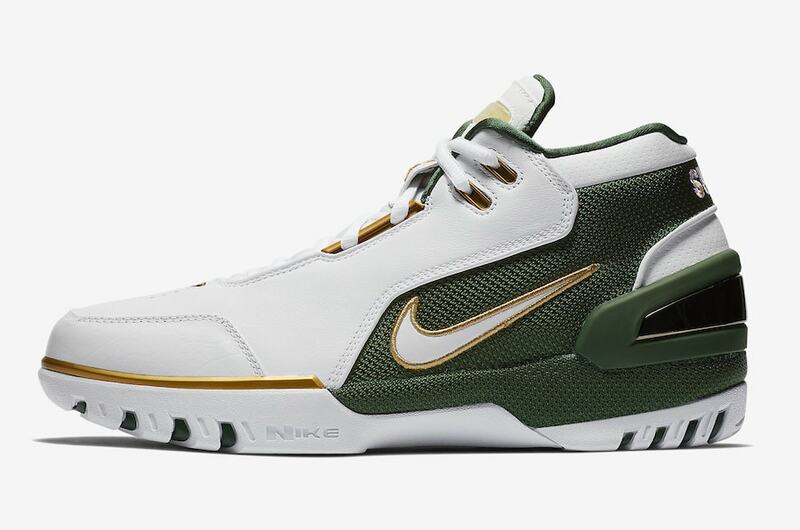 The return of LeBron James’ Nike Air Zoom Generation was not exactly a surprise to most fans. The coveted silhouette has been an essential piece of any memorabilia collections, and now Nike is preparing to re-release one of the most exciting colorways. 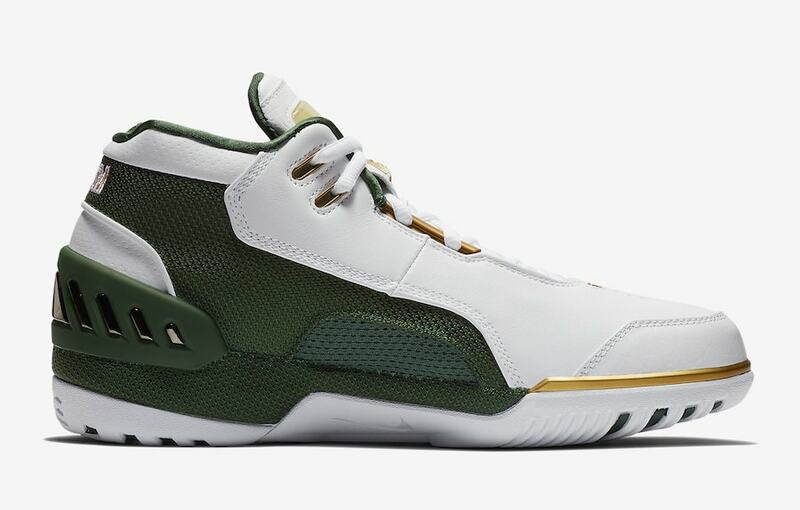 Paying homage to his high school and direct path to the NBA, the “SVSM” Nike Air Zoom Generation is painted in the All-Star’s high school colors. 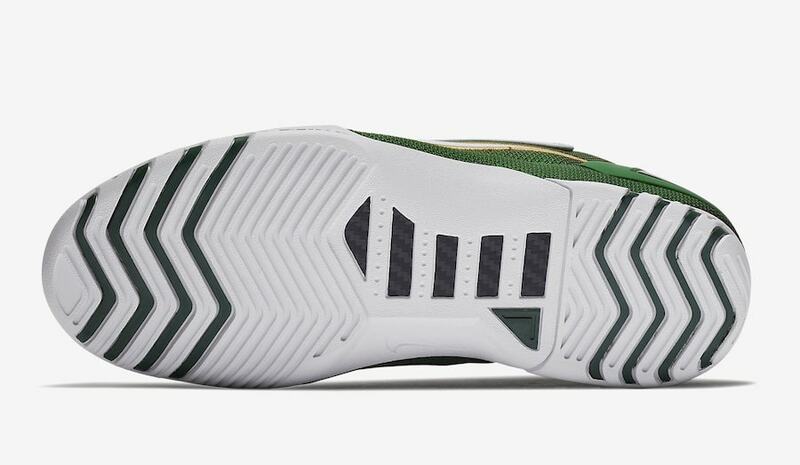 The main body of the shoe comes in white, with green paneling around the midfoot and heel. The retro design is completed by gold detailing all around the shoe. 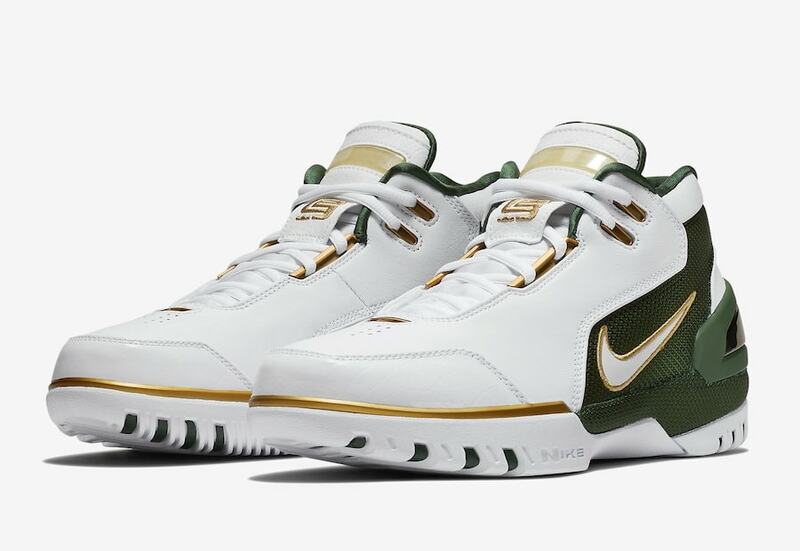 The next reissue of LeBron’s Nike Air Zoom Generation will arrive in stores on May 26th, 2018. 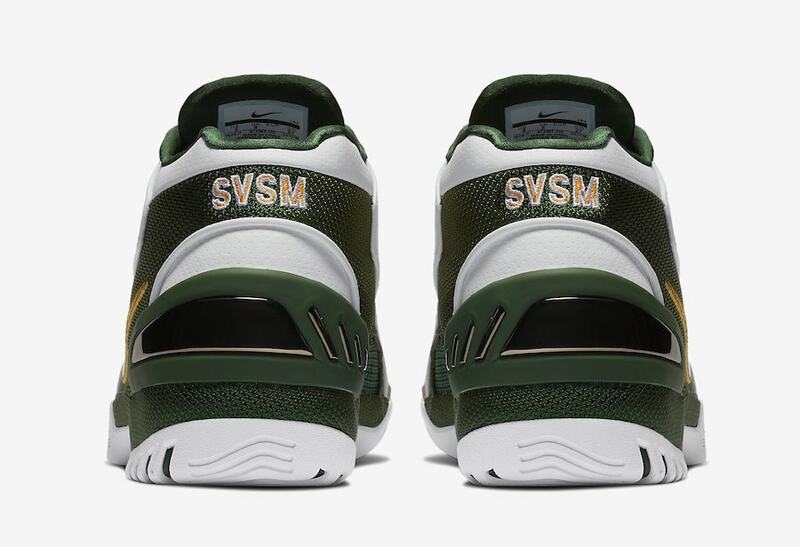 Paying homage to his roots, the SVSM colorway will release from both Nike and select retailers for $175. 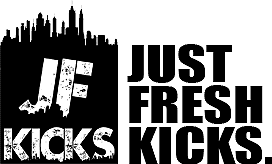 Check out the official images below for a better look at the OG shoe, and stay tuned to JustFreshKicks for more Nike LeBron release dates.